I've been thinking about running, weight lifting, milk, Christmas, moving, work, unpacking, gift wrapping, and holiday parties, but my thoughts keep returning to the topic of dairy. For quite some time I have had a nagging feeling about dairy consumption. What triggered these thoughts? Many things. I believe the first instance that I started to wonder about dairy was two-three years ago when my mother-in-law was taken "off" dairy. Her Dr. stated she had an allergy to it. I thought this was interesting to be diagnosed with this in your 50's. Then another friend found out they had a dairy allergy and another friend's parents and so on and so forth. As I would follow up with my mother-in-law about her removing most dairy from her diet she would report how "good" she felt. Intriguing... Since that time I have watched a few food documentaries that have opened my eyes to the big business of the Food and Drug Industry. Plus, Bekah, Fred, and I have had fascinating discussions about dairy and meat consumption. Collectively, it has sparked an interest in me to take the time to research dairy consumption more. Therefore, four weeks ago I decided to cut dairy out of my diet as if I were a lab rat in a test market. I went three weeks completely without dairy. I didn't even have cream in my coffee. Although I did not feel much different I still felt good. On day 23 without dairy I decided to join in on family pizza night. I had two pieces of cheese pizza that night and what happened to my body was terrible. My stomach went into instant cramping and knots. I actually felt like I might throw up. Coincidence, I think not. I felt horrible. Ever since then I have felt the urge to research dairy recommendations and alternative calcium sources even further. Last week I 'googled' the topic "Are we really supposed to drink the milk of other animals?" The information I found was astounding, but there was one article that stood out and spoke to me. I have pasted it below. "Are we really supposed to drink the milk of other animals?" The Food and Drug Administration (FDA) insists that IGF-1 is destroyed in the stomach. If that were true, the FDA has proven that breast feeding cannot work. Common sense says their "finding" is ridiculous because this growth factor DOES make the baby calf grow (rapidly, as mother natured intended). 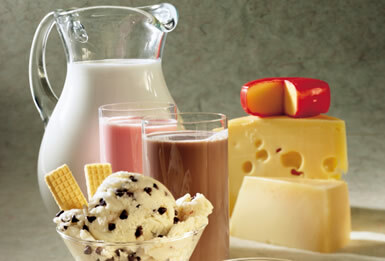 Visit the Dairy Education Board at http://www.notmilk.com/deb/100399.html..… to review a DAIRY study that confirms what the FDA has lied about this for years. http://www.notmilk.com/badbones.html... WHO GETS BONE DISEASE? http://www.notmilk.com/deb/112398.html..… for the whole story. I love hearing all view points! Want to chat more? Visit us on Facebook, Twitter, Pinterest, or email us! You can email us at sexymotherrunner@yahoo.com!